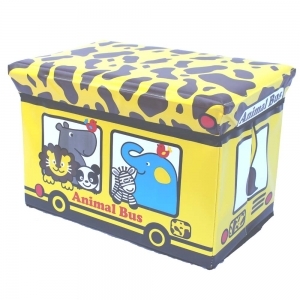 An animal bus toy box (49cm x 32cm,h33cm). The bus is bright yellow with brown markings. 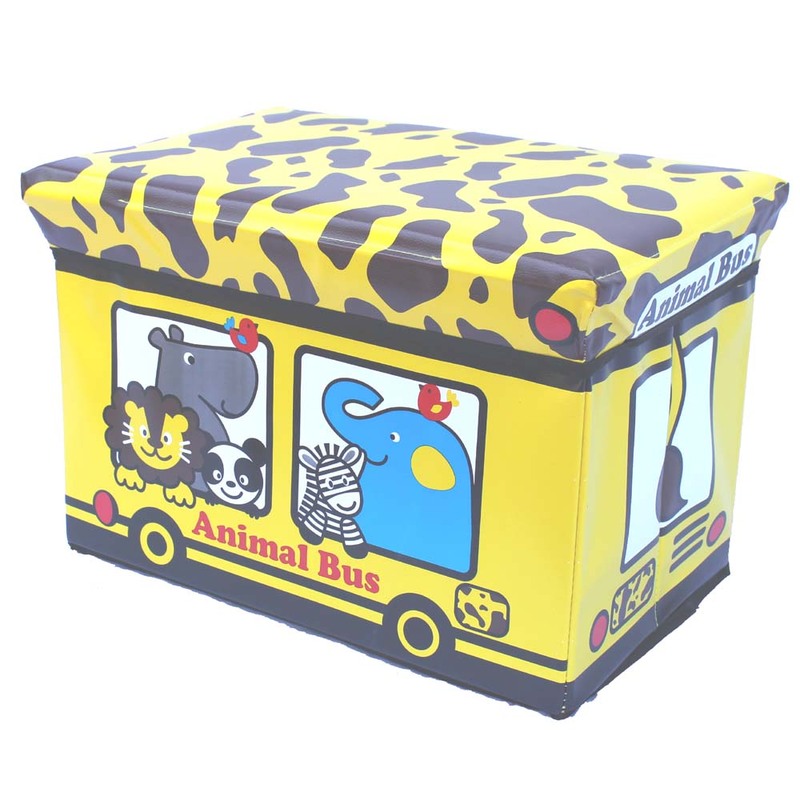 A collection of animals are looking out of the windows on either side and a giraffe is driving! It is lined in black.